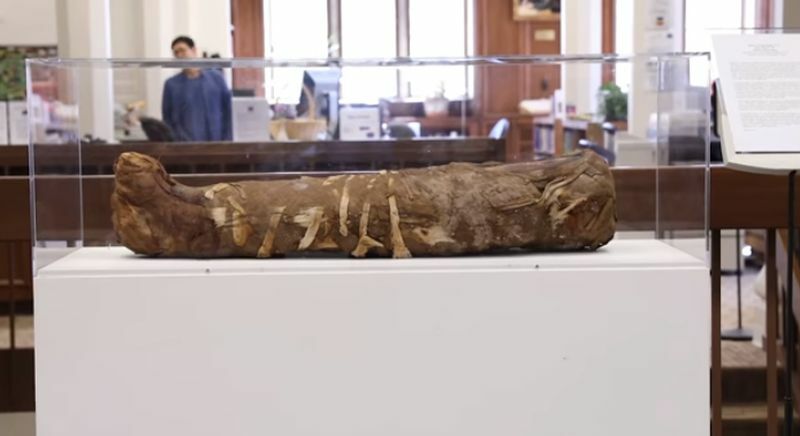 The Hibbard mummy is being examined to determine the “quality of her bones and what material is present in her brain cavity,” the university stated in a news release on Nov. 27. 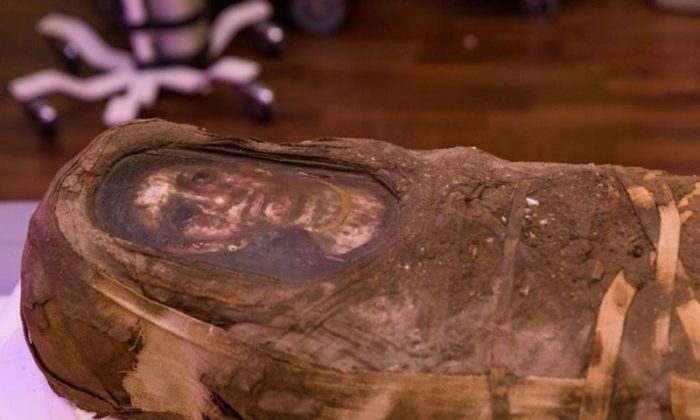 The mummy is of Roman-Egyptian origin, and it is among 100 “portrait mummies” in the world, meaning, they have a painting of the dead individual in the mummy wrappings over the person’s face. The CT scan revealed that a small object was wrapped against the child’s stomach. “The resolution on the CT scan is such that we can only barely make out a shape. We think it’s some sort of stone, but we’re not sure,” Olivia Dill, a first-year art history Ph.D. candidate, told PBS. There’s also shards of a bowl-shaped object inside the skull.